Below you fill find all funeral homes and cemeteries in or near Wrightsville. Wrightsville is also known as: Johnson County / Wrightsville city. Zip codes in the city: 31096. Brantley – Powell Funeral Home, built by the Hays Family in 1856, is one of the first brick homes in JohnsonCounty which was formed by the General Assembly in 1858. One can still see the hand-hued logs which were used for the window sills. Some of the notable people born here have been: Herschel Walker (american football player and athlete). It was disclosed by Ocala Star Banner on December 19th, 2013 that A E "Mack" McCoy passed away in Ft McCoy, Florida. McCoy was 87 years old and was born in Wrightsville, GA. Send flowers to share your condolences and honor A E "Mack"'s life. It was revealed on April 19th, 2013 that Bessie Mae Flemming (Davis) perished in Wrightsville, Georgia. Ms. Flemming was 81 years old. Send flowers to express your sympathy and honor Bessie Mae's life. It was disclosed by The Macon Telegraph on January 30th, 2013 that Jeannine Kettles (Johnson) passed on in Wrightsville, Georgia. Ms. Kettles was 83 years old. Send flowers to express your sorrow and honor Jeannine's life. It was reported by The Macon Telegraph on December 6th, 2012 that Beatrice Smith (Veal) perished in Wrightsville, Georgia. Ms. Smith was 98 years old. Send flowers to express your sympathy and honor Beatrice's life. It was revealed by The Macon Telegraph on July 14th, 2012 that Lamar Crawford Caneega died in Wrightsville, Georgia. Caneega was 75 years old. Send flowers to express your sorrow and honor Lamar Crawford's life. It was disclosed by The Macon Telegraph on June 9th, 2012 that Myrtle Irene Sheppard (Moore) perished in Wrightsville, Georgia. Ms. Sheppard was 90 years old. Send flowers to share your condolences and honor Myrtle Irene's life. It was revealed by Tampa Tribune on November 27th, 2011 that Jerry M Snell died in Lutz, Florida. Snell was 84 years old and was born in Wrightsville, GA. Send flowers to express your sorrow and honor Jerry M's life. It was reported by Harrisburg Patriot News on October 18th, 2011 that Arthur Lee Sr Pullen passed on in Harrisburg, Pennsylvania. Pullen was 76 years old and was born in Wrightsville, GA. Send flowers to share your condolences and honor Arthur Lee Sr's life. It was noted by The Macon Telegraph on October 1st, 2011 that Patricia Vann Norris (Bray) passed on in Wrightsville, Georgia. Ms. Norris was 58 years old. Send flowers to express your sorrow and honor Patricia Vann's life. It was revealed by The Macon Telegraph on August 29th, 2011 that Tom Watson Blount passed on in Wrightsville, Georgia. Blount was 94 years old. Send flowers to share your condolences and honor Tom Watson's life. 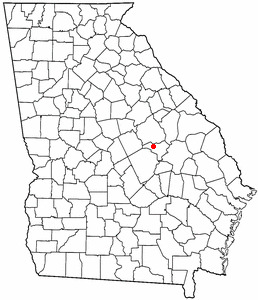 The city is the county seat of Johnson County, Georgia County and is the birthplace and hometown of the famous University of Georgia running back Herschel Walker. Wrightsville is a city in Johnson County, Georgia County, Georgia (US state) United States. The population was 2,223 at the 2000 census. . . Listing all funeral homes in Wrightsville, Georgia so you can easily send flowers to any location (same day delivery) or find any funeral service. Find a Funeral Home inWrightsville, Georgia GA to provide the caring burial and ceremonial services your family deserves. We work with local florists and flower shops to offer same day delivery. You will find budget sympathy flowers in Wrightsville here. Our funeral flowers are cheap in price but not in value.